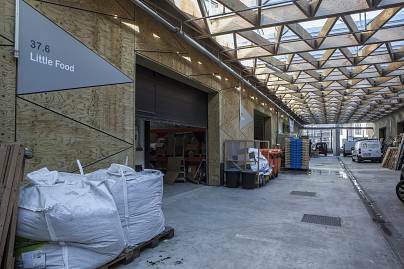 In an industrial warehouse in the heart of Brussels, alongside an organic juice pressers, fair-trade coffee roastery and a smart lighting factory is a nondescript unit marked Little Food. Seven employees work inside, looking after somewhere around 3 million crickets. Founded in 2013 by Raphaël Durpiez, and Maïté Mercier, two bioengineers who met at university, the company is pioneering the market in insect food, including cricket crackers, smoked crickets,cricket tapenades and cricket flour sold through supermarket chains. Their wares are even available as a muesli snack bar. 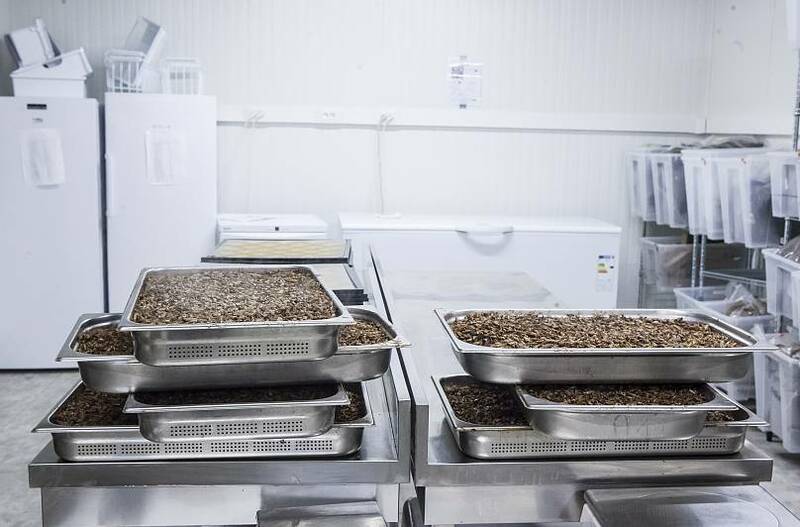 The feed for Little Foods’ insects is linen seeds, which are a waste product from a nearby organic linen oil supplier. 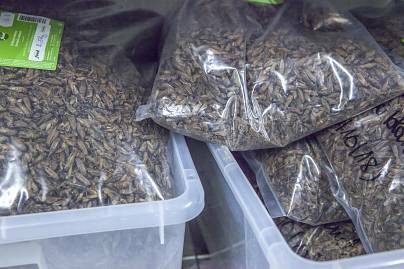 “With 1 kg of linen waste we can produce 700 g of crickets”, says Durpiez. The life cycle for a cricket is 1 month and, in a normal production cycle, Little Food produces 800 kg or 3.2 million insects. 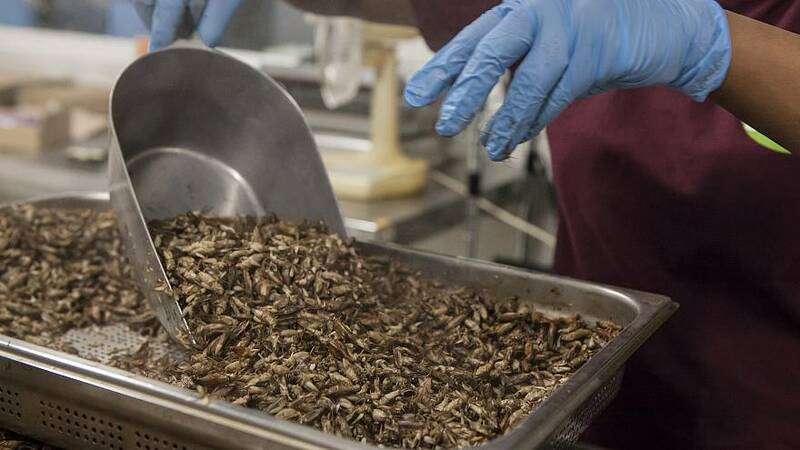 They’d like to up that to 10 million crickets a month, but for the moment demand, limited by complicated food regulations, doesn’t yet justify the increase. Under EU law, insects fall into the category of “novel foods,” a category encompassing anything not used for commercial human consumption in the bloc prior to 15 May 1997. The new Novel Food regulation (2015/2283/EU) implemented in January 2018 aims at making food authorisation procedures more efficient whilst ensuring a high level of food safety. Food operators, such as Little Food, have to apply for authorisation of their product from the EFSA - European Food Safety Authority. Until 2020, EU Member States can decide whether to allow any approved foods to be sold or produced. In countries like UK and Belgium, crickets are authorised for consumption already. “AFSCA - the Belgian food control agency - made a big step forward and took a lot of risk in allowing us and all the other producers to utilise these products to produce this type of food,” Durpiez observes. However, the wider international market remains fragmented, restricting growth opportunities. Once the product becomes legal in all EU countries, the market is likely to grow. “Obviously there is going to be more competition, but what we need right now is market development because of the potential this product can have both from a nutrition perspective and in terms of ecological footprint”. Crickets have a lower environmental impact than meat and diary products, while offering key nutrients necessary for human needs. One kilogramme of beef reared in Belgium produces 23,8 kg of carbon dioxide are emitted, while the equivalent figure for a kilogramme of cricket is two kilogrammes of carbon dioxide, according to research from the University of Copenhagen. With 1kg of crickets, Little Food is able to produce 200 gr of their latest product, Protein Powder, or cricket flour. Durpiez, who doubles as the company’s product developer, has partnered with nutritionists to construct a superfood containing vitamins, omega-3, fibres, antioxidants and zinc. He sees three main target profiles: flexitarians, who are concerned about cutting meat consumption; health-conscious eaters; and people who practice sports. “We don't necessarily want to be underground. We would like to be mainstream one day, although it takes some time to get out our comfort zone. Despite their appearance, insects are safe and have been eaten by many populations around the world throughout time”.